But weaving IoT into the healthcare ecosystem remains a challenge, and requires more than just technology improvements. Surfing the internet used to be an exclusively human activity, but not anymore. Today, as you ride the waves of cyberspace, you may notice that the digital ocean is teeming with machines, generating and exchanging data among themselves. The era of the Internet of Things (IoT) is upon us. Like any disruptive technology, IoT is working its way into the value chains of multiple industries, and the healthcare sector has not been spared the invasion, said a panel of speakers at the IoTSG at IEEE World IoT Forum 2018. The panel, titled ‘Enabling Better Healthcare with IoT’, was moderated by Mr CK Vishwakarma, CEO of AllThingsConnected and founder of IoT special interest group IoTSG, and comprised Dr Eugene Shum, chief corporate development officer, Eastern Health Alliance; Mr Binu Azad, director of analytics, Philips Healthcare; and Mr Pankaj Lunia, cognitive IoT solutions leader, IBM. Speaking from the perspective of a practitioner, Dr Shum noted how IoT can help healthcare to move “beyond the hospital to the community, beyond healthcare to health”. For example, doctors can now remotely monitor patients’ blood pressure and weight, saving patients multiple trips to the hospital. The next step, he said, was to move beyond the measuring of physiological health parameters to home-based monitoring. This is especially important as Singapore’s population ages. “In Singapore, the number of citizens above the age of 65 is expected to increase to almost one million by 2030, so we need to look at how to help the elderly who are becoming frail, especially those who are living alone,” he explained. According to Dr Shum, IoT is already being deployed to detect emergencies such as when an elderly person falls at home. Bluetooth-enabled call buttons for senior citizens to signal for help are also being field-tested. But impressive as these sensors and wearables may be, they only record health status when it is in decline, or after an accident has happened. 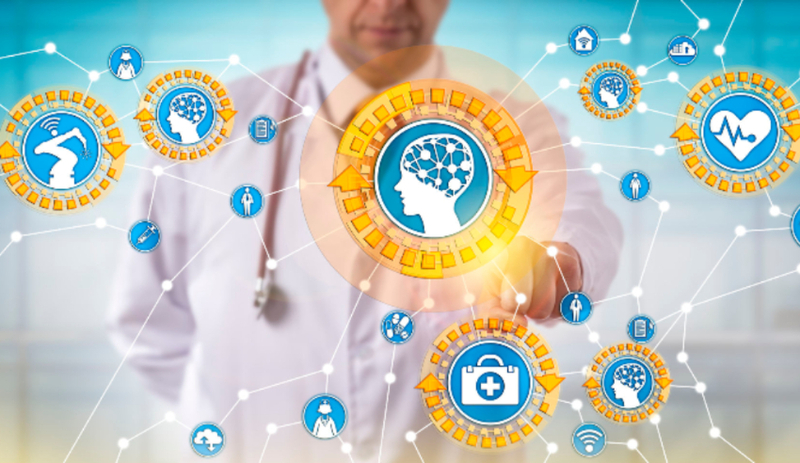 IBM’s Mr Lunia thinks that as IoT advances, it will allow the upstream management of health before debilitating conditions set in, thus enabling predictive, preventive and proactive healthcare. “[With IoT], people can monitor their own health parameters alongside their physicians, and when they start taking care of their health more proactively, that actually reduces their risk of developing bigger problems later on,” he said. While using IoT to pre-empt health issues sounds like a great idea, this promise depends on harnessing insights from data generated by healthcare devices 24 hours a day, seven days a week. Dr Shum agreed, adding that no medical textbook teaches physicians how to parse continuous heart rate or blood pressure data. Even if there were such a textbook, the sheer volume of data would overwhelm doctors. Creating a holistic ecosystem With all these exciting technological developments happening in the healthcare space, it is easy to forget that at the end of the day, the patient must reap a real benefit. “An outcome is more important than how or what you can do,” said Mr Azad of Phillips Healthcare. He argued that the ecosystem for IoT in healthcare remains very fragmented, with different departments and devices still operating in silos. Moreover, the workflow of using IoT in healthcare operations is still not optimised, which means that healthcare costs for the patient remain high. Therefore, beyond IoT devices and data analytics, other factors such as operational integration, federal regulation and social security must evolve in tandem with technology to ensure that quality healthcare remains affordable and accessible. “Population demographics and the ecosystem in this part of the world create a need that can be met by IoT. But how we use IoT, what is the return on investment, how to get the right sponsorship and how to bring it to people—these are still major challenges,” concluded Mr Azad.